Beautifully renovated home on huge 881m2 lot in WOODBINE ESTATES. This floor plan is perfect for a busy family, offering a formal living & dining, large open kitchen that extends into the family room, developed bsmt, 2 home offices (flex spaces) & 5 generous bdrms. Stunning custom kitchen includes vaulted ceiling, heated flrs, granite, pantry, high-end stainless appliances & breakfast nook. The amazing west facing maintenance free deck is perfectly located off the kitchen for easy BBQ access & outdoor entertaining. Both the living & family rooms have new gas fireplaces. The Master easily fits a king & features a 5pc spa-like en-suite & walk-in closet. Mechanical is upgraded with 2 HE furnaces, water softener & central A/C. HEATED GARAGE, new HARDIE BOARD exterior. newer windows & tons of storage throughout. Located on a quiet street with GIANT BACK YARD, lots of room to play plus a HOT TUB. 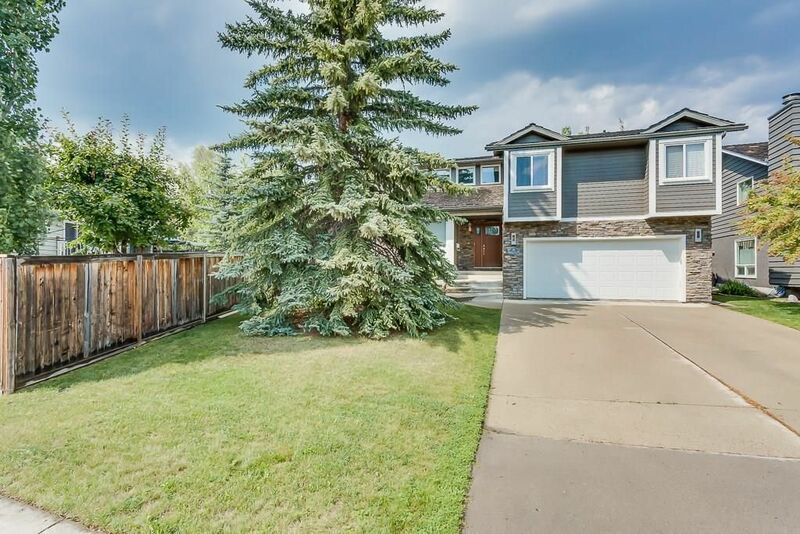 Just 2 blocks from Fish Creek Park, surrounded by schools & amenities.